As we hiked up the mountain, we reached a point halfway up where we could overlook the town below. Suddenly, the sound of a train’s whistle pierced the mountainside. As I looked down, a steam locomotive slowly pushed its way through the city and fields of the Chichibu region, smoke billowing from its stack. With tweeting birds, flowers in full bloom and an old-fashioned train standing out in the spring sunshine, I imagined myself in midst of a folk tale. It was a though I was back in time. And I really wanted to ride that train. In March, we went back to Chichibu to once again hike, but also ride the locomotive. Thinking ahead, we drove our car to Yorii Station, about 40 kilometers from Mitsumineguchi Station in Chichibu, and took a regular train there. After a morning hike, we made our way back to Mitsumineguchi Station to hop on the locomotive and make our way back to our car. The locomotive was already at the departure platform, smoke puffing from its stack as a mechanic did some routine maintenance. Boarding the train, my wife and I headed to one of the back cars so we could take photos of the whole chain of cars snaking their way along the track. I was excited as the train started moving and the sound of iron couplers hitting each other filled the air. Opening one of the train windows, I stuck my head out, feeling the spring winds on my face and smelling the burning coal that powered the locomotive. The brisk rhythm of wheels made us feel good. Looking out, I saw a family standing in their garden, children playing baseball in a park, and locals standing patiently at a railroad crossing, waving to the passengers of passing train. When the train approached a hill, its speed dropped sharply and made us sway back and forth. Before our departure, an announcement by a train mechanic told us the locomotive is maneuvered by two men - one drives while the other shovels coal. Just like in the old movies. It is hard work indeed, and the two must have been struggling. I wanted to stick my head out the window and cheer them on but decided against. But soon enough, the locomotive picked up steam and made its way over the hill. In the 1950’s, diesel engines began taking the place of locomotives. Between 1960 and 1976, all the locomotives disappeared from the national railways. Years later, some railroad companies started running locomotives for sightseeing tours to respond to growing demand for the revival of these classic train. 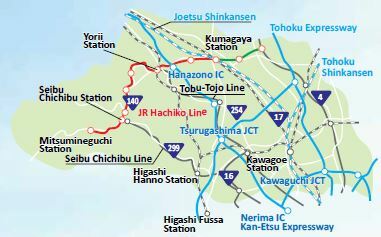 Chichibu Railways is one of them. In 1988, it launched operation to attract customers with the beautiful and black “C58363 locomotive,” offering round-trip service on weekends, holidays and during vacation seasons. Nowadays, we tend to look for fast and convenient, but from time to time, we may want to enjoy an old-fashioned way of travel, even if it is a tad bit inconvenient. So, follow my lead and hop on this old locomotive and enjoy a little nostalgia. 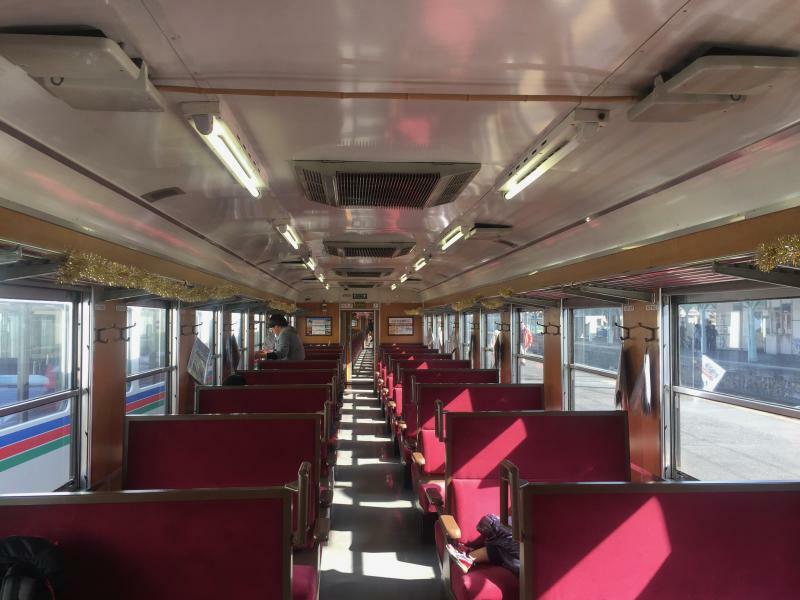 The Chichibu Railway’s Paleo Express makes one return journey each day. 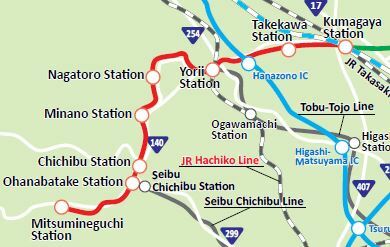 Stations: Kumagaya, Takekawa, Yorii, Nagatoro, Minano, Chichibu, Ohanabatake, Mitsumineguchi. Times: Only runs on the weekend and on public holidays; special schedule for weekdays during summer vacation (check website). Cost: Reserved seats – 720 yen (about $6.50) (Can be reserved 30 days in advance). Non-Reserved seats – 510 yen.